All titles in the collection will be released one at a time in chronological order, to ensure their quality and allow players in without having to wait for the entire collection to be finished. Free Xbox Live account required. Games can be purchased individually as they are released, or all together when the collection is released. Will be available to some Halo Insider testers on Steam before launch to gather feedback prior to release. Will support 16:9 and 16:10 ratios. FOV values may vary per title due to design decisions. Developers are aiming for uncapped FPS in all titles - this may be impacted by engine limitations and therefore could be subject to change. Will support XInput controllers (e.g the Xbox One Controller). Will support generic PC controllers. Includes Castilian and Latin American translations. 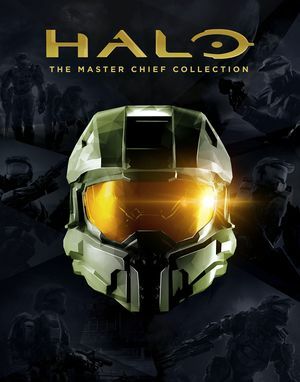 Halo: Combat Evolved Anniversary for Latin America and Halo 2: Anniversary for Spain doesn't include their respective voiceovers because they were never made. Online features require a free Microsoft account. Supports cross-play between Microsoft Store and Steam versions. PC/Xbox cross-play is being looked into but is unlikely to be in place at launch. Will support matchmaking hosted on 343i's Dedicated Servers. Online matches will be hosted on 343i's Dedicated Servers. Will be able to host Custom Game lobbies. Support for Windows 8 is still being investigated. ↑ 1.0 1.1 File/folder structure within this directory reflects the path(s) listed for Windows and/or Steam game data (use Wine regedit to access Windows registry paths). Games with Steam Cloud support may store data in ~/.steam/steam/userdata/<user-id>/976730/ in addition to or instead of this directory. The app ID (976730) may differ in some cases. Treat backslashes as forward slashes. See the glossary page for details. Players can purchase each title one-by-one along the way or wait until the collection is complete at the end. We don't have any plans for a 'season pass' model. Yes, support for FOV-sliders is the plan. We will adjust what level of FOV is supported on a title by title basis. As an example, if adjusting the FOV causes significant player/weapon model distortion, we may need to put limits in. re: Crossplay - PC players will be able to play together regardless of which store they choose to purchase from. In terms of Xbox One to PC crossplay, it's not something we're currently committing to at launch but it is top of mind and the team is actively investigating this. re: Dedicated servers for Reach - our goal is to continue using dedicated servers to power the matchmaking experences within MCC. We'll definitely share more details as development progresses. A custom games browser is of course very important to us and something we're looking forward to bringing to MCC on PC and Xbox One.